Shanghai-Hangzhou intercity high-speed railway connecting two important southeast cities of China: Shanghai and Hangzhou, which out of question largely shortens the distance between these two famous cities and to a most degree embodies the identity of Hangzhou as the backyard of Shanghai, this international metropolis. Shanghai-Hangzhou intercity high-speed railway is an essential part of Shanghai-Kunming Passenger Special Line, which is one of China high-speed railway network, roughly known as Four Horizontals and Four Verticals. This railway starts from Hongqiao Railway Station of Shanghai to East Railway Station of Hangzhou by way of South Songjiang, North Jinshan, South Jiashan, South Jiaxing, Tongxiang, South Haining and Yuhang. And the total mileage is 160 kilometers, and what should be mentioned is that the whole route is mostly comprised of bridges. And there are 9 small stations on the route. The design speed is 350 kilometers per hour. The whole construction project kicked off February 26, 2009 and ended on Oct. 26, 2010. How does the rail change people’s life between Shanghai and Hangzhou? Taking this passenger special line, the time the passengers spend at most is no more than 40 minutes, exactly 38 minutes. And the time spent is 40 minutes less than that of the fastest CRH train need from Shanghai to Hangzhou. The opening of Shanghai-Nanjing High-speed railway just shortens the time to 73 minutes from Shanghai to Nanjing, and Shanghai-Hangzhou high-speed railway is more vivid in the aspect of time. On the test run day of Sept.28, 2010, the speed of Shanghai-Hangzhou High-Speed Railway reached 416.6 kilometers per hour, and this speed breaks the utmost speed of test run of the world’s high-speed railway. In this way, the traditional consideration of Hanghzou as the Backyard of Shanghai is realized mostly based on the operation of this high-speed railway. Shanghai civilians prefer to select Hangzhou as their leisure destination on holidays. However, in the past, the time spent on the way was still relatively considerable, and then some of citizens may cancel the plan of Hangzhou travel. Thanks to the opening and operation of Shanghai-Hangzhou Intercity High-Speed Railway, it largely facilitates the journey of people in Hangzhou and Shanghai and makes the business and cultural cooperation of Hanghzou and Shanghai closer. It consolidates and improves the definition of High- Speed Railway Period of Yangtze River Delta. 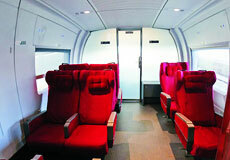 This special railway largely makes the integration of Shanghai and Hangzhou come true. 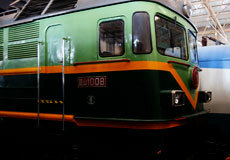 Do you know the history of Shanghai-Hangzhou Railway? In history, there was a railway from Shanghai to Hangzhou, and this rail was built in 1909, and belongs to the main track of original China’s railway network. So naturally, Shanghai-Hangzhou railway is one of the busiest main rails in China. As the fast economic development of Yangtze River Delta Region, the transportation needs both in passengers and goods are largely increased. In 2009, after a long-term design and research, Shanghai-Hangzhou High-Speed Railway was constructed. It is a jointly invested high-speed railway by Ministry of Railway, Shanghai Municipality, Zhejiang province and Baogang Group. Shanghai-Hangzhou High-Speed Railway is in the possession of the world’s top-level technologies of ballastless track manufacturing and operation , train control, station construction, train manage, transportation service as well as traction power supply. These new achievements have reached or surpassed the world’s top technology. Besides, the trains of CRH380A, the latest generation of bullet trains absolutely invented by China is also the fastest high-speed trains with the highest technology in the world. The inside friendly design and decoration is absolutely comfortable. 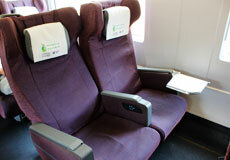 Shanghai Hangzhou high speed train ,Which Type of Train and Seat to Choose? 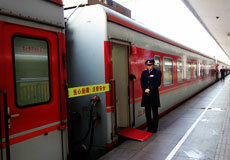 Passengers can book China train tickets 18 days before departure for long-distance trains at stations. Online booking opens 20 days before the departure. During peak holidays in China, such as the Spring Festival, May Day and National Day, long-distance train tickets sold out quickly. Do avoid these dates to take train travel in China. Meanwhile, summer holiday (July and August) and winter holiday during January and February are also busy train travel times which are better to avoided. If you have to take trains on these periods, do remember to book them as soon as the reservation opens. 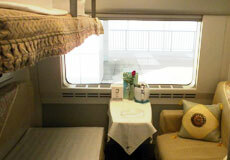 In other cases, long-distance train tickets are also usually sold out several days before departure. 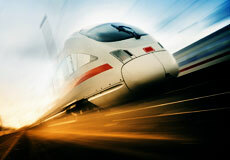 It is suggested to book the ticket at least 4 days before the train departs, which will be much more secured. Where to Buy and Get the Train Ticket? For foreigners, they can book tickets at the stations and get the ticket directly. Or book them online through Chines travel agency no matter in China or outside China and the local travel agency will deliver the ticket to the place you stay in China. In big train stations in Beijing, Shanghai and Hangzhou, train tickets are easy to buy for foreign travelers as the special English-speaking ticket window are provided. Note that you may need to buy them in advance in case there is no ticket available. Take the passport. All foreigners need to present their passports when buying tickets. One passport is only for one train ticket, which is also required when boarding the train. The Chinese citizens’ ID card, foreigners’ temporary residence permit, exit-entry permit or diplomatic certificate are valid documents to buy train tickets. Buy any route’s ticket at any station. Passengers can buy any route of train tickets from a Chinese station, not only ones starting at the station you are at, which is thanks to the central computer reservation system of Chinese railways. Foreigners cannot use the self-service ticket machines at the station as it is required Chinese ID cards when purchasing. Local train tickets agencies. In most cities in China, passengers can buy train tickets from local train ticket offices. 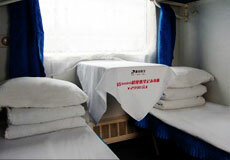 The staff of your hotel can tell you the nearest ticket office and then you can go to buy with the extra fee of 5 Yuan. Note that staff from train ticket offices does not speak English, so you may need to write down your destination, departure date and specific time and class in Chinese with the help of your hotel staff.